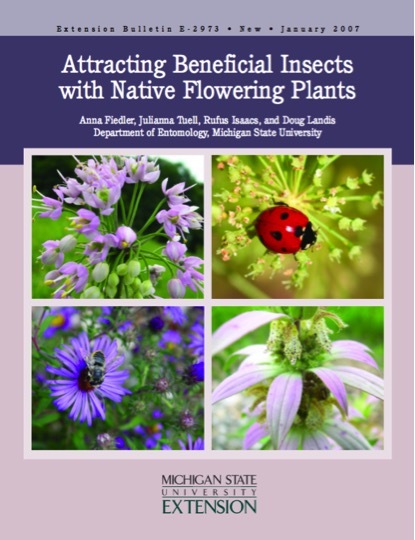 Following are some resources to get you started protecting and promoting pollinators in your own backyard. Click on an image to view a free downloadable PDF of the topic. 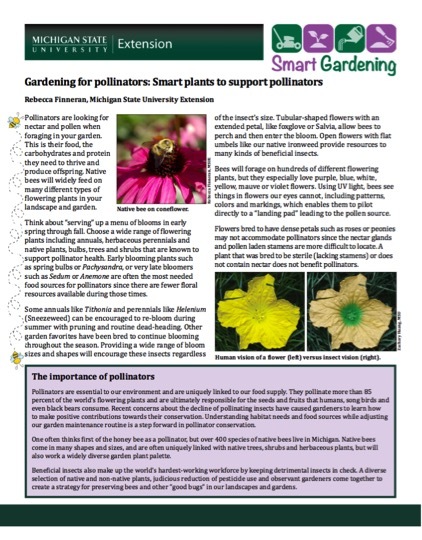 For more information, visit the Michigan Pollinator Initiative webpage! Michigan is a leader in honey production and in many pollination-dependent fruit and vegetable crops. 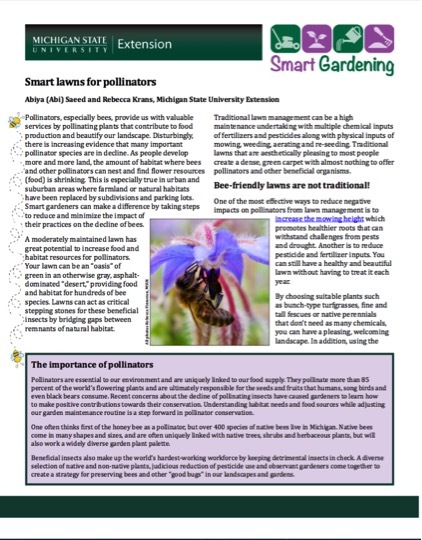 MSU Extension provides the latest information on pollinators and pollination including fact sheets from the Smart Gardening Program, webinars, educational seminars, email newsletters, and other online resources. 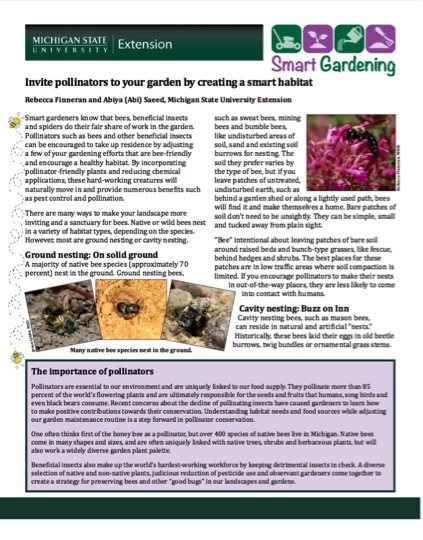 Visit the Michigan Pollinator Initiative website for more information and resources for beekeepers, growers, and home gardeners.